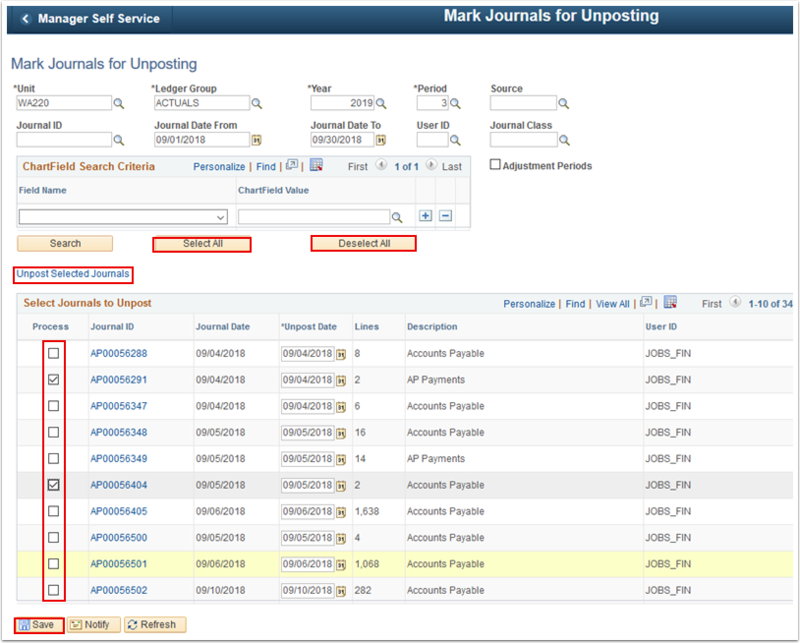 The Mark Journals for Unposting search page displays. You can leave Journal ID blank or use a wildcard (%) value. You can also use % for the Unit and Source fields. 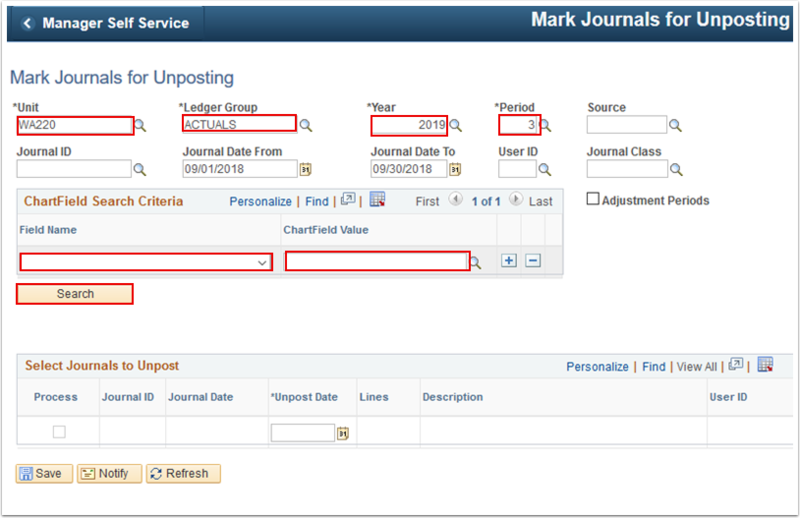 Use the ChartField Search Criteria section to enter the names and values of the ChartFields that you know are included in the journals that you want to mark for unposting. Enter any additional search criteria to identify your journal(s). A warning Message window displays, asking that you ensure that the unpost period for any related journals is also open; otherwise the related journals will not be posted. The warning Message window disappears. 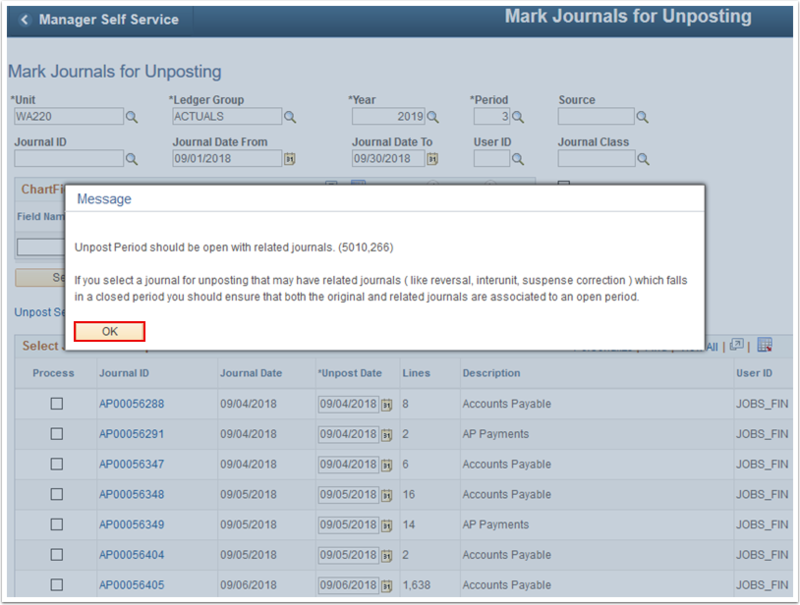 The Select Journals to Unpost section populates. 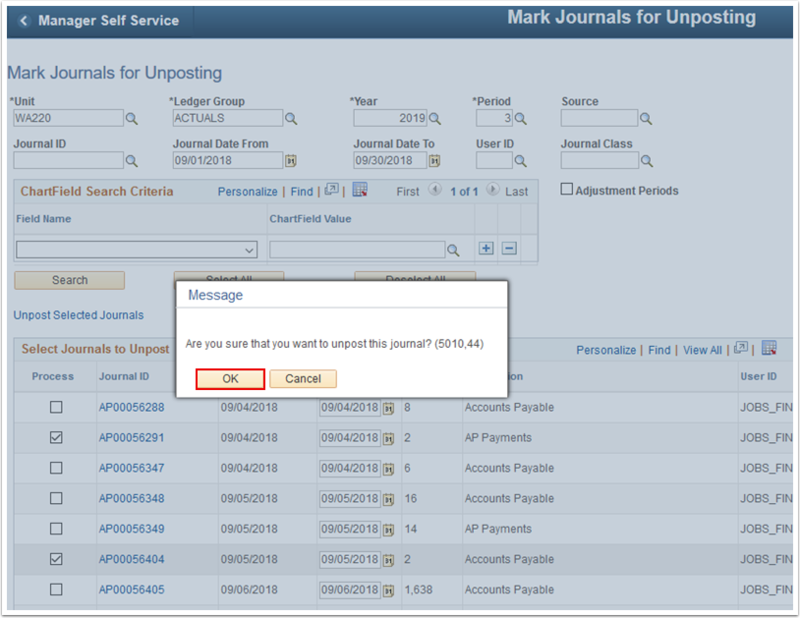 You can select one or many journals to unpost within the Select Journals to Unpost section. You can also select the Select All or Deselect All buttons to manage the Process check boxes more efficiently when you have large numbers of journals returned in your search. If the unpost period (transaction type UNP) is closed for the business unit, then the Process check box will not be available for selection. A warning Message window displays. 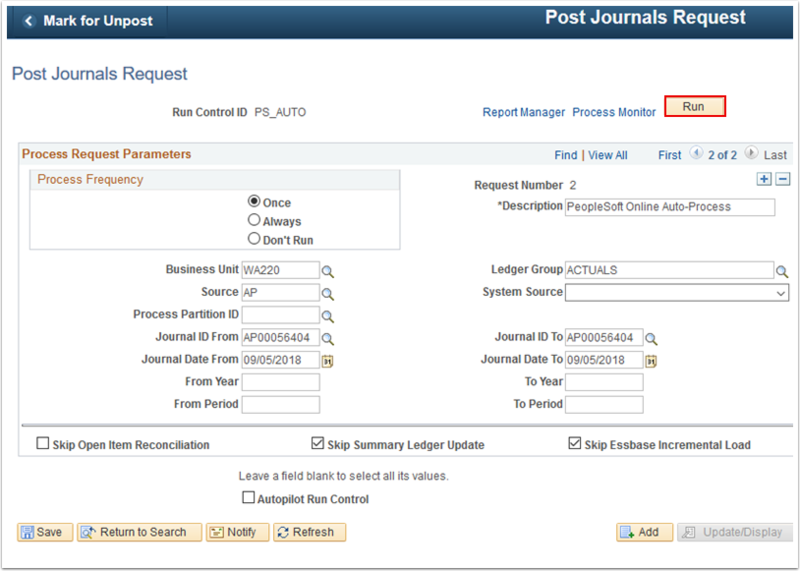 The Post Journals Request page displays. Confirm that the parameters are correct; if not, please correct them. Select Run. Please refer to the Process Scheduling QRG for instructions.